80 colours with a 10% discount! 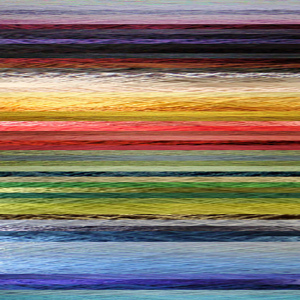 This huge collection provides 25g/0.9oz of eighty different colours from our dyed, mixed fleece worsted wool yarn. The total weight of the Rainbow Bag is 2kg/4.4lbs. As our colour range is constantly changing and stock levels fluctuate, we will select the different colours from within the selected yarn type. If we cannot make up the full bag on different colours in your selected yarn type we will contact you to offer either duplicate colours or different colours in another yarn type. The Heavy Rainbow Bag will contain a mix of 6/2 and 5/2 yarns. The Medium 1 Rainbow Bag will contain 9.5.2 yarn with very few 8/2 yarns. The Fine Rainbow Bag contains only 18/2 yarn.